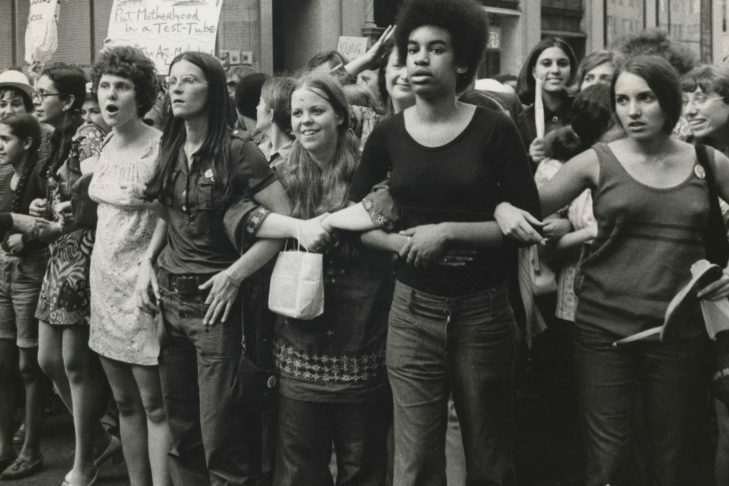 This film resurrects the buried history of the outrageous, often brilliant women who founded the modern women’s movement from 1966 to 1971. She’s beautiful takes us from the founding of NOW, with ladies in hats and gloves, to the emergence of more radical factions of women’s liberation; from intellectuals like Kate Millett to the street theatrics of W.I.T.C.H. (Women’s International Conspiracy from Hell!). Artfully combining dramatizations, performance and archival imagery, the film recounts the stories of women who fought for their own equality, and in the process created a world-wide revolution. Introduction and discussion by Paula Doress-Worters, Joan Ditzion, and Vilna Diskin, founding members of Our Bodies, Ourselves (formerly Boston Women’s Health Book Collective). First released in 1970 as a 193-page course booklet, the publication was revolutionary because it provided a forum for women to have frank discussions about issues important to their health, including sexuality, abortion and how they were treated by doctors.